Investing For The Rest Of Us is on sale April 1-3. You can get this book on Amazon for only $2.99, a 63% discount from the regular price. Since readers of StockIdeas.org are always looking for value, I thought you might appreciate hearing about this sale. To be honest, I haven’t read yet Investing For the Rest of Us. But now that I’ve heard about this sale I will probably check it out. From reading about Investing For the Rest Of Us on Amazon, it also sounds like it would be useful to the individual or self-directed investor. Again, that represents a large portion of our readership here at StockIdeas.org, so I think it might be a good fit. Investing For The Rest Of Us is designed to help you learn how to easily construct an investment portfolio even if you don’t have the time, inclination, or skills to closely monitor your portfolio. If you’re feeling curious I encourage you to check out Investing For The Rest Of Us for yourself. And if you’re already read Investing for the Rest Of Us please share your thoughts in the comments section below. I always love to hear what readers are saying about new popular investment books. From what I can tell, it doesn’t matter if you’re just getting started with investing or you’ve been building a portfolio for years. Investing For The Rest of Us aims to provide a practical approach to the stock market that you can use without spending much time or energy. 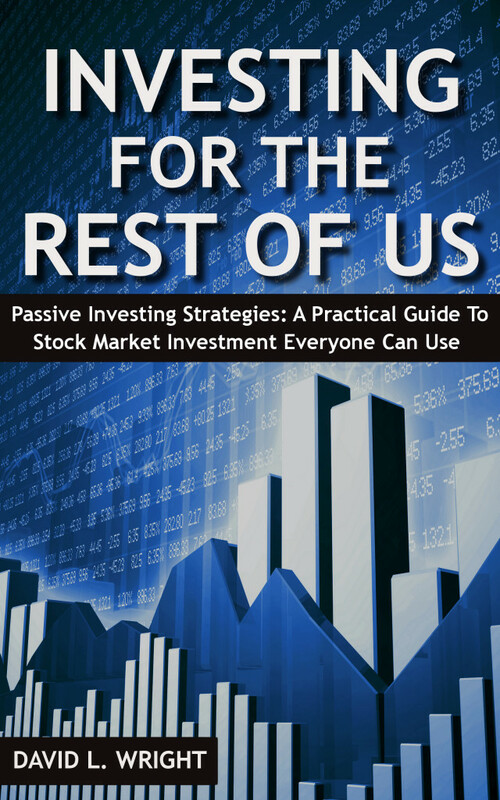 So if you’re interested in the idea of passive outperformance, then this book might just be for you. At 162 pages Investing For the Rest Of Us should be a pretty easy read. It also has almost all 5 star reviews on Amazon, so for a couple of bucks it’s probably worth seeing. I still have a few books on my current reading list but I’ll definitely let you know if I pick up Investing For The Rest Of Us . 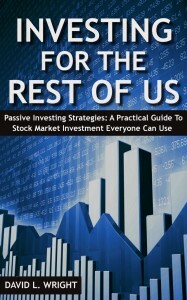 You can also read other reviews of Investing For The Rest of Us if you’re still curious to learn a little more about this passive investing book. And By The Way: If you’re still curious about other techniques to improve your stock market investing I encourage you to download my free ebook below. 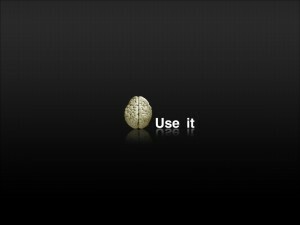 I’ll also send you my favourite tools and resources each week to help you improve your stock trading knowledge. This entry was posted in Stock Ideas and tagged Investing For The Rest of Us on March 31, 2014 by Jworthy. 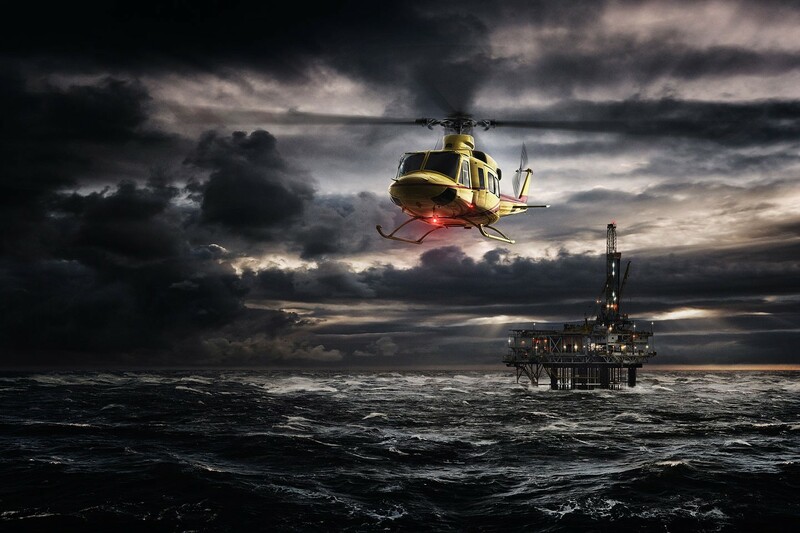 Are oil drilling investments worth exploring in 2014? Oil Drilling Investments in 2014 have not performed very well. But does that mean you should pass up on oil drilling investments? Or is 2014 the time to look for value in oil drilling investments before the explode in price? In this short article we’ll take a look at some of the risks and tailwinds facing the oil drilling investment thesis this year. And then I’ll share some of the most popular oil drilling investments in 2014. Sound good? But before sharing my best oil drilling investment ideas and stock picks let’s look at some of the risks associated with investing in oil drillers. Oil drilling investments have lagged in 2014. Despite being relatively cheaply valued there are still some risks that explain why some of the biggest oil drilling investments are trading below book value. So what are they? One of the biggest risks facing oil drilling investors in 2014 is that there is oversupply of rigs coming into the oil drilling market. This excess of supply means that oil drilling companies are facing pricing pressures. This oversupply is especially risky for oil drilling companies with older rigs, as major oil companies may focus on companies with newer equipment. A reduction in cap-ex by major integrated oil and gas companies could further exacerbate the extra supply. Beyond the oil drilling market, the rest of the energy mix may present a headwind to deep water oil drillers. While this risk is a little more speculative it’s hard to ignore the momentum of renewable energy and the natural gas boom. While it’s hard to quantify the immediate impact these emerging energy sources will have, it’s important for oil drilling investors to remember that alternatives to black gold are always being pursued. Finally, even if all of the macroeconomic risks aren’t materially important, oil drilling investments are not without an intrinsic risk. That’s because oil drilling is a dangerous activity to begin with. Oil investors need to assume some risk based on the possibility of spills or other accidents that could lead to lawsuits. Focus on companies with strong safety records and commitment to effective operating procedures. Despite the risks associated with oil drilling in 2014, the benefits to oil drilling investors are also hard to ignore. Most oil drilling companies have strong histories of operating profits. And these track records are likely to continue out into the future. For one thing, it’s unlikely that new oil drilling companies will enter the space. There are a couple of big and established players. And given the complex and harsh environment oil drilling companies operate in, there is a significant barrier to entry. This provides a little bit of a competitive moat for those oil drilling investments that have already strongly established operations. In fact, despite the oversupply of rigs coming online, a number of the oil drillers already have significant backlog of revenue booked for 2014. With that in mind, long term oriented investors may want to start fishing for value in the oil drilling investment opportunities. If you are looking for a long term place to park capital oil drillers might make sense. Plus, a lot of the oil drilling investment opportunities in 2014 pay strong dividends, so investors will accrue the benefit of getting paid to wait. So what oil drilling investments should we be looking at in 2014? There are plenty of different ways to find oil drilling investments in 2014. A great place to start is by reviewing the oil and gas drilling and exploration industry. That way you can find oil drilling investment examples that meet your personal criteria (whether that’s a big dividend, a margin of safety, or something entirely different). One popular oil drilling investment in 2014 is Transocean Limited. You can read my previous RIG analysis here to see why this major oil driller has attracted the interest of activist investor Carl Icahn. Unfortunately, I think RIG faces some headwinds in the form of an older fleet of rigs, and there are some better oil drilling investments for 2014. For example, SeaDrill Limited and Ensoco are oil drilling companies that have newer fleets and a backlog of orders in 2014, making them relatively attractive oil drilling investments. To be fair, the stock price of both companies appears to be in a bit of a downtrend. But these might be examples of relatively safe oil and drilling investments for longer-term oriented investors. For full disclosure I am long a small amount of ESV at the time of writing. I like the company because it pays nearly 6% in dividend and is trading just below intrinsic value. The company also has a strong track record of delivering shareholder value. What oil drilling investments are you contemplating in 2014? And By The Way: If you’re looking for more information on how to find under-valued stock market opportunities you may want to download my free ebook below. You’ll also get free tools, resources and tips each week to improve your approach to the stock market. This entry was posted in Stock Ideas and tagged oil drilling, stock analysis on March 29, 2014 by Jworthy. Alpha Master is a great walk-through of the various styles, techniques and investment philosophies of some of the most successful hedge fund managers of the last 20 years. You can certainly learn a lot about improving your own investment returns by reading Alpha Masters. If you have any desires to manage your own hedge fund some day, this book is sure to inspire you! Another thing Alpha Masters illustrates effectively is that there are lots of different ways to find investing success. Some chapters focus on arbitrage investors, while others focus on short-only forensic accountants. It’s really amazing to see the different ways investors are able to successfully beat the S&P on a regular basis. Alpha Masters was recommended to me by a reader of StockIdeas.org, and I’m glad it was! This book really helped me appreciate how some of the world’s best hedge fund managers got their organizations off the ground. When you hear about multibillion dollar funds, it’s hard to imagine them starting out. If you’ve ever thought about starting your own investment fund you probably know what I’m talking about. Going out on your own can be a very daunting process with a lot of hoops and hurdles to get over. But seeing how most of these investing mavens struck out on their own between the ages of 25 and 35 is really illuminating for aspiring investment managers. If you’re trying to grow your AUM this book will help anchor your expectations of what’s required. You’ll probably be surprised how many of these hedge fund masters had trouble getting started, often working from home or out of small offices gifted to them by friends. The other common thread in the book that really stood out to me is that each of the hedge fund managers seems to believe that capital is a commodity – and good investment ideas are not. All these hedge fund managers have had faith in themselves and their processes for evaluating investment ideas since day 1. By focusing on the quality of analysis. By sharing ideas their passionate about. And by not giving up, these hedge fund masters secured their ability to deliver alpha. While Alpha Masters does a wonderful job giving a big picture overview of different hedge fund managers and their diverse styles, it’s not entirely practical. Whereas books like The Intelligent Investor are incredibly instructional in nature, this book provides some more intangible lessons. To be sure, I still learned a lot from Alpha Masters. But the information is more contextual than practical. I think that’s an important distinction depending on what you’re hoping to get out of the book. On the other hand, the easy-reading nature of the book makes it enjoyable and perfect for a long train, flight or even your daily commute. 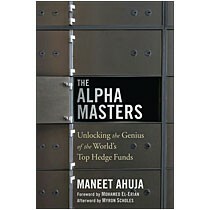 Alpha Masters is a great investing book that provides an insightful look at the world’s best hedge fund managers. It’s only about 200 pages and each chapter is very much self-contained so it’s an easy to read book. That’s why I recommend you buy Alpha Masters on Amazon today . If you have a passionate interest in finance, and how to keep up with the best in the investing business, then Alpha Masters is for you. If you want a little more information I encourage you to watch the video book review below. This entry was posted in Stock Ideas and tagged alpha masters on March 28, 2014 by Jworthy. 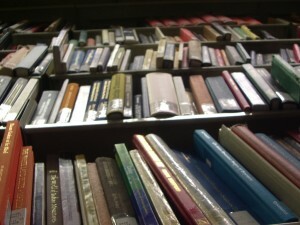 Where Do You Find Book Value of a Stock? Where Do You Find Book Value of a Stock? It’s something new investors always want to know. And I can’t blame them. That’s because book value is a fairly accurate proxy for intrinsic value. Calculating intrinsic value of a stock is critical to figuring out what a stock is worth and if you should buy it. So looking at book value is a great way to figure out if a stock is trading around intrinsic value. Of course this method isn’t perfect. But it can help you focus your research on stocks that may be trading under intrinsic value, thereby saving you time. If a stock has a price to book ratio of less than 1 the stock may be trading below the intrinsic value of the company’s assets. On the other hand, if the stock is trading at a multiple of 3 to 4 times book value you can be relatively sure investors are valuing the stock based on future earnings growth (rather than tangible assets). But where do you find book value of a stock online? Luckily there are plenty of places all over the internet when you can find the book value of a stock. If you’re a true fundamental analysis purist then you will want to get the official statements from the stock of interest. So how does that work? To find the book value of a stock straight from the source you can easily go to any publicly traded company’s investor relations webpage and download their latest quarterly financial statements and annual report. The balance sheets included contain everything you need to know to find and calculate book value of a stock. It’s good practice to calculate book value yourself if you’re new to fundamental analysis. Of course if you don’t want to calculate the book value of a stock yourself, there are other places to find book value online. 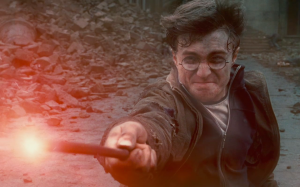 And to be honest, this is how I usually find the book value of a stock – just because it’s faster than calculating it myself. Generally speaking, if you are sourcing information online I recommend you check at least 2 or 3 different sources. The last thing you want to do is invest thousands of dollars based on a mis-calculated book value. Save yourself some pain and make sure to check a couple of the different sources. This is very easy to do and will save you a lot of pain. Morningstar – This data is usually pretty accurate. You can also see book value over the past 10 years which is incredibly helpful. It’s much easier to feel confident investing when management has a strong track record of growing book value. 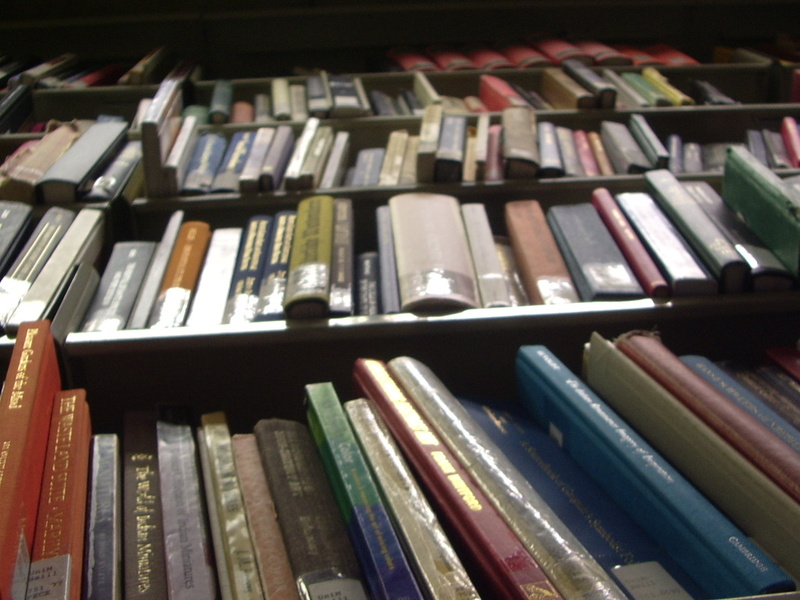 Market Watch – Another good source of book value data. Enter ants tock ticker and click on the financials tab. You can see 5 year history of book value and also drill down to quarterly data which is helpful. Yahoo Finance – An easy place to get up to date copies of balance sheets with book value. Just be careful to double check. Finviz Stock Screener – If you want to sort stocks by book value I suggest you check out Finviz.com and use the stock screener to sort and sift stocks that are trading below book value. yCharts.com – Another easy to use source. While yCharts has a premium model you can get book value for free. I like the way yCharts illustrates the change in book value over time. So there you have it! Now you should know all there is to know about how to find and calculate the book value of a stock. Never again will you worry about overpaying for the assets of a company because you’ll be investing in those with low price too books. Of course that doesn’t mean your home-free in your investing decisions. But it’s a pretty good place to start! This entry was posted in Stock Ideas and tagged find book value of stock on March 27, 2014 by Jworthy. The Magic Formula Stock Screen is an investing methodology developed by famous value investor Joel Greenblatt. The Magic Formula investment approach can make it easy to find great value investing ideas. And beyond just finding ideas, the magic formula helps you execute the investments too! Even though the Magic Formula stock screen has been around for a few years, it is still very popular with contemporary value investors. I was particularly intrigued by the Magic Formula stock screener when it was mentioned in The Manual of Ideas and The Dhandho Investor. Plus, Greenblatt states the magic formula stocks beat the S&P-500 96% of the time (reference). The Magic Formula Stock Screen is pretty simple. So you can get started using the stock screener yourself once you understand the basic components that go into selecting magic formula stocks. The main thing to keep in mind is that the magic formula stock screen isolates stocks with high earnings yield and high return on capital. The idea is to diversify into about 30 of these stocks and rebalance once per year. The magic formula stock screen is easy to manage and implement. Use these steps to find stocks that fit the magic formula investment criteria. As you can see, the magic formula is actually pretty simple. And it’s very easy to follow because the formula includes specific steps of when you should buy and sell stocks. If you want to get an average 30.8% annual return with only doing one day of research per year this is your ticket to success. No wonder they call it the magic formula! As always, stock screeners are only a starting point. And they can always be improved upon. If you want to further refine the magic formula stock screen there are a couple of things you could do to even further improve your odds of your success. To be sure, these aren’t condoned magic formula investing ideas. But it’s fun to find new ways to sort and sift the best magic formula stock ideas. One thing I would do is combine the magic formula stock screen with the results from some of the other best value investing stock screeners. So for example, you could add additional filter criteria to your screen to find stocks that fit the magic formula stock screen AND also have insider buying… Or… you could be looking at stocks that are on the magic formula stock screen AND are within 10% of their 52 week highs (e.g. they have some price momentum). See what I mean? There are truly no limits to how you can use the magic formula stock screen as a jumping off point for finding stock picks and investment ideas. I encourage you to overlay your favourite fundamental or technical analysis criteria to find magic formula stock picks that fit your preference. Of course, the beauty of magic formula is that you don’t need to tweak it. But sometimes us curious investors hunting for the best deal just can’t help ourselves! And By The Way: If you’re looking for more information on how to find valuable stock picks and ideas I encourage you to sign up using the form below. You’ll get a free copy of my 12 page ebook on how I developed my approach to the stock market. And I’ll also send you the best tools, tips and resources each week to help you improve your stock trading and investing. This entry was posted in Stock Ideas and tagged magic formula investing on March 26, 2014 by Jworthy. In this blog post we’ll find the worst companies to invest in…. and show you how you can avoid them! By looking at a few different criteria we’ll be able to easily find the worst companies for investment so you can confidently steer clear of them. Make sense? The easiest way to find and avoid the worst companies to invest in is by using financial statements to calculate an intrinsic value for the company. Most intelligent investors know that you should try to buy companies that are trading below their intrinsic value. And the truth is, when you focus on valuations you can almost always avoid the worst companies to invest in. While looking for companies trading below book value is a great start, make sure there is some revenue on the income statement and a bit of a growth narrative to ensure capital can continue to be returned to shareholders. Just keep in mind, while earnings growth is what investors like to see, too much of a good thing can still be dangerous. Read on to see what I mean. It’s because even if companies are growing it doesn’t mean they will always return cash to shareholders. Instead, money is reinvested to drive growth, improve next quarter’s earnings and fend off competitors. 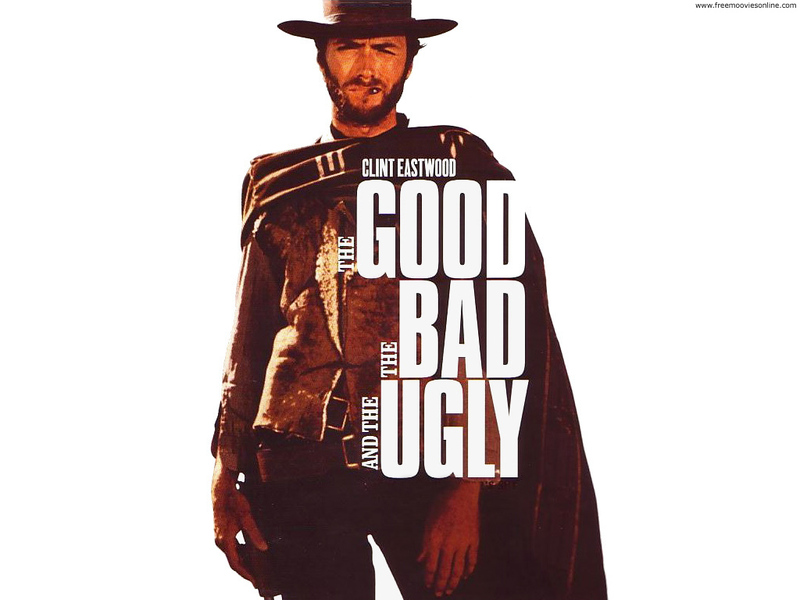 And unfortunately…. If fast growing companies can’t keep up the hype of their exaggerated earnings, these high flying momentum stocks will collapse. And since the prices are so inflated these stocks have a really long way to fall. Just think of the dot com bubble if you’re looking for an example. So even though it sounds counter-intuitive, that’s why even companies with strong earnings growth can be the worst companies to invest in. Growing companies are definitely great. And steady earnings growth is something all investors want to see. But enterprising investors get into trouble though when they buy companies that have already raised earnings expectations multiple times in a row. So just be conscious of how earnings expectations align with reality. Of course, if you do want to invest in a company but you’re afraid it’s over-valued or over-hyped you can protect yourself with diligent risk management. This is best done by avoiding over-sizing the position and use stop losses. One of the easiest way for traders or investors to avoid pain and protect their portfolio is using stop losses. So how does that work exactly? Well I am hardly the first person to write about stock losses. But that’s because they work! So rather than reinvent the wheel I’ll refer you to Stan Weinstein’s Stop Loss Strategy. I found this approach to be incredibly actionable and it should really help you avoid investing in the worst companies. Sound good? 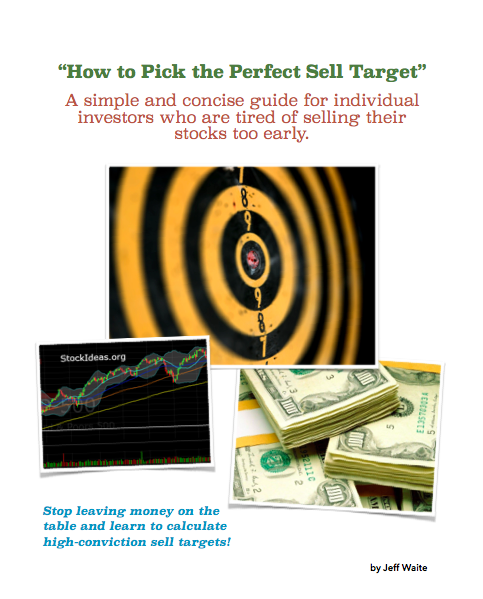 And By The Way: If you’re looking for more ideas to improve your approach to the stock market I encourage you to download my free ebook below. You’ll also get weekly email updates with the best tools and resources for individual and self-directed stock traders. This entry was posted in Stock Ideas and tagged worst stocks on March 25, 2014 by Jworthy. 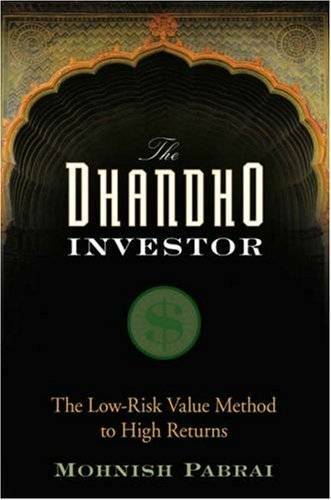 Is The Dhandho Investor a value investing book worth reading? Mohnish Pabrai is a very successful value investor who has attained massive returns through relatively simple methods. It’s almost unbelievable how easy he makes investing look. And that’s what the Dhandho Investor is all about. So in this book review I’ll share why you should read The Dhandho Investor, as well as my favourite part of the book and what this value investing book leaves out. The Dhandho Investor is a fantastically simple investing book. While a lot of value investing and technical trading books are tough to understand, The Dhandho Investor is very easy to grasp. Plus the book is only about 180 pages and the font is quite large. So you can whip through The Dhandho Investor in a couple of days without a sweat. 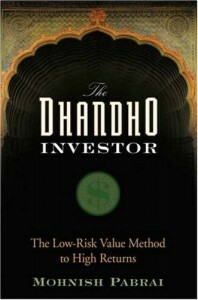 The Dhandho Investor is primarily based in anecdotes and examples. The Dhandho Investor starts out with a discussion of simple yet profitable business models. It explains what you should look for when evaluating businesses and investing in them. The colloquial nature of the book makes the concepts really easy to grasp. But don’t get me wrong. The Dhandho Investor is much more than just simple stories. The Dhandho Investor quickly moves on to talk more explicitly about the low risk pursuit of wealth, and exactly what you should look for when you’re investing in stocks. Along the way, the author shares lots of insight and examples of his own investing decisions (like why he copied Warren Buffett’s investing strategy), what made him pass up on certain stocks, and why he was compelled to pull the trigger on other equity purchases. There is some great content on how investors should decide when to buy and sell a stock that can really help you improve your returns and avoid selling too soon or pulling the trigger on a risky deal. Getting authoritative answers to these fundamental questions is incredibly valuable. For the most part The Dhandho Investor does a very job keeping it simple. If you were thinking about reading Security Analysis but are a bit intimidated by the length and scope of the book, then The Dhandho Investor might be a much better place to start getting up to speed with the basics of value investing. That said, The Dhandho Investor isn’t perfect. 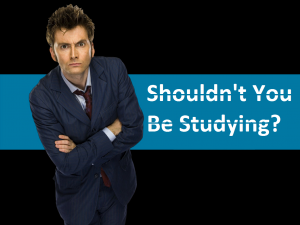 So just as a warning…. While The Dhandho Investor is a really great book, there are a couple of things it leaves out. This is in large part because the book is only about 180 pages. So you can’t cover the entire world of investing with a book that short. And even though The Dhandho Investor provides a couple of references for the reader, it largely leaves out some of the more complex aspects of value investing. I think this is okay (and the book might actually be worse if it were too dense). But The Dhandho Investor sort of assumes that you will do further due diligence and research. Of course this is standard practice for value investors but a little more focus on external references might have helped. But you’ll probably enjoy The Dhandho Investor more if you have a little bit of familiarity with value investing. So do you think The Dhandho Investor the book for you? The Dhandho Investor is an excellent book. I was able to get through it very quickly while still absorbing a ton of information and knowledge. I really found the simple approach to be refreshing and powerful. So if you’re curious about the world of value investing and how to apply it to your portfolio I recommend you buy The Dhandho Investor on Amazon today. The Dhandho Investor really helped me round out my view of value investing. And it helped reinforce some very important concepts that I was admittedly a little foggy on. If you need a new book this month look no further than The Dhandho Investor. If you want more information you can also watch the video book review below. This entry was posted in Stock Ideas and tagged Dhandho Investor on March 23, 2014 by Jworthy. 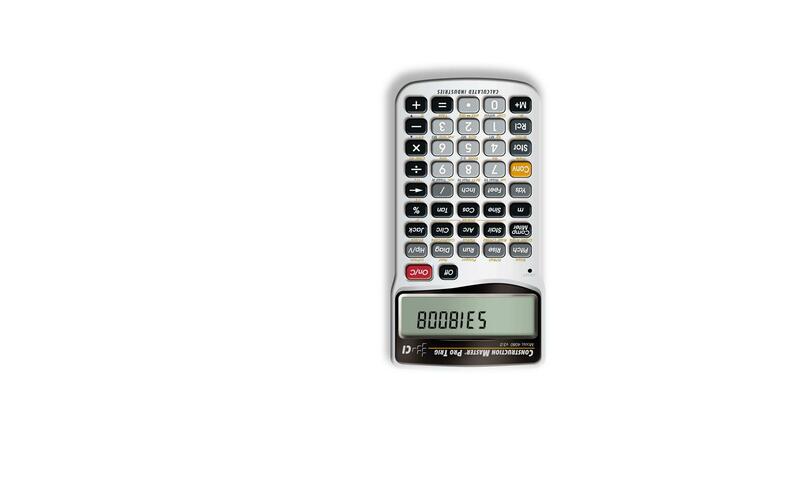 Read this post to learn more fun calculator tricks! Knowing How to Calculate Intrinsic Value of Common Stocks can help you invest intelligently. And luckily, with the tools and calculators available free online, calculating intrinsic value of a company’s common stock is easier than you think. Read this short blog post to learn how to calculate intrinsic value of common stocks. Additionally, there’s also a list of free online intrinsic value calculators online at the bottom of this post so you can start calculating intrinsic value for yourself. Intrinsic value is basically defined as the true value of the company (or asset) as based on fundamental analysis without regard for the market price. It’s the second part of that sentence that should really catch your attention. Calculating intrinsic value means ignoring the erratic quotations of Mr. Market. Learning to calculate intrinsic value is actually pretty easy. And with today’s online tools and intrinsic value calculators it’s easier than ever to figure out what a company’s common stock is fundamentally worth. But before we start cracking out calculations of intrinsic value, let’s quickly review some of the basics. Calculating intrinsic value involves two main parts. The first component to consider are the net current assets of the company. And the second thing to keep in mind are the current (and future) earnings. By focusing on assets and earnings you can start to figure out what a company is worth. You’ll want to go beyond just the Graham Number or the Benjamin Graham Formula if you’re interested in accurately calculating intrinsic value. Nevertheless, these back-of-the-envelope analytical techniques can help you see and appreciate how earnings and assets factor in to the intrinsic value calculation. Most intrinsic value calculation takes the form of discounted cash-flow analysis. In this case, you figure out the net working capital of the company and then add the discounted value of future cash flows. This sounds complicated but it’s actually pretty easy. The link above shares the formulas you can use in detail for calculating intrinsic value. Finally, if you don’t feel like crunching these intrinsic value numbers by hand (even though it’s easy and worthwhile) there are a number of online calculators you can use for free to help you accurately calculate intrinsic value. Warren Buffett’s Value Calculator: While Warren Buffett has never explicitly shared his intrinsic value calculations he has talked in broad strokes about how to calculate intrinsic value. This free online calculator gives you intrinsic value results when you plug in the required variables. Check MarketWatch or Morningstar for the required data points. Free Ben Graham Intrinsic Value Calculator: This online intrinsic value calculator works much the same as the one above. It relies on Ben Graham’s formula for arriving at intrinsic value. Weighted Average Cost of Capital (WACC) Calculator: Discounted cash flow analysis requires you reduce the value of future earnings based on the time value of money. While a lot of investors use a standard discount rate, you can use the WACC calculator above to further improve your calculations of intrinsic value. Here’s a short video I made on how to use the WACC Calculator. Finally, I’ll share another article if your’e looking for a much more in-depth discussion of how to calculate intrinsic value. If you’re still a little foggy on the principles behind calculating intrinsic value this article will bring you right up to speed…. Now, we’re almost done. Do you know what this means? It means that if you make crazy assumptions about future growth rates your calculations of intrinsic value will be wrong. The best investors look for a “margin of safety” in their investments wherein they will stand to make a significant amount of money even in conservative discounted cash flow analysis. When you’re calculating intrinsic value it pays to be modest and conservative in your assumptions. Run models and simulations that rely on sub-par growth to see if your favourite common stock can keep intrinsic value even in a low-growth environment. Without this step you might be inflating the intrinsic value of your common stock more than you think. Would Ben Graham approve? And By The Way: If you’re looking for more free online tools, tips and resources to help you improve your approach to stock markets then sign up for the email form below. You’ll get a free 12 page ebook showing how I created an approach to consistently extract capital gains. You’l also get free tips, tools and resources each week to help you improve your trading and investing. This entry was posted in Stock Ideas and tagged intrinsic value on March 22, 2014 by Jworthy.